If you experience pain or discomfort in your jaw, the cause may be clenching or grinding teeth and jaw muscles during your sleep. You may also be experiencing the symptoms of a common but serious jaw joint disorder. 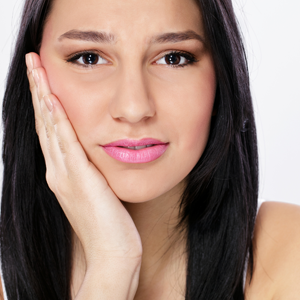 What Are Bruxism and TMJ? Bruxism is another word for the clenching and grinding of your teeth. You may do this during the day or while you sleep. Some patients remain unaware of nighttime bruxism, while others notice worn down teeth after years of grinding. This condition may negatively affect your TMJs. TMJ is an abbreviation for temporomandibular joint, which is your jaw joint. You have one of these on each side of your face. These are the points at which your jaw connects to the rest of your skull. In some cases, bruxism can place excessive stress on these joints, leading to a disorder called TMD or temporomandibular disorder. However, TMD does not occur as a result of any one underlying cause, but as a result of several potential factors. At Modern Dentistry of Shrewsbury, we offer treatment options to improve your comfort. For both bruxism and TMJ problems, we create custom-fitted oral appliances that you will wear while you sleep. The soft appliances gently add cushion between your teeth, so you do not grind or clench. In addition, we may select an appliance that gently repositions your jaw for greater comfort and reduced stress on your jaw joints. We also offer Botox treatment, which may reduce TMJ soreness and tightness.